Start off your visit on the 27th (Thu): kick back and relax at Praia do Carneiro, look for gifts at Prometeu, stop by Garrafeira do Carmo, then browse the eclectic array of goods at Mercado Do Bolhao, and finally shop like a local with Rua Santa Catarina. 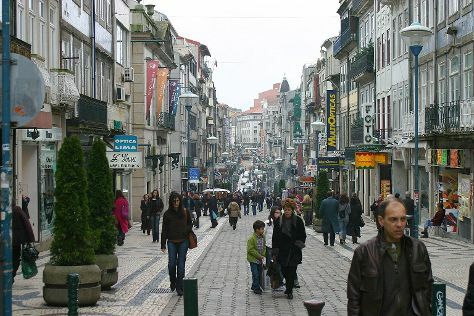 To see more things to do, ratings, other places to visit, and more tourist information, refer to the Porto online journey builder . Ottawa, Canada to Porto is an approximately 11-hour combination of train and flight. You can also fly; or do a combination of train and flight. You'll lose 5 hours traveling from Ottawa to Porto due to the time zone difference. In September, plan for daily highs up to 27°C, and evening lows to 15°C. Finish your sightseeing early on the 27th (Thu) so you can travel to Tavira. Tavira has succeeded at escaping the flood of tourism that has affected other coastal Portuguese towns over the years. Start off your visit on the 28th (Fri): explore the activities along Xiribeachbar - Ilha de Tavira, then look for gifts at Canastra, and then see majestic marine mammals with a dolphin and whale watching tour. Keep things going the next day: enjoy the sand and surf at Praia dos Olhos de Água, kick back and relax at Praia do Peneco, and then kick back and relax at Falesia Beach. Plan my trip to Tavira with suggested itineraries provided by Inspirock. Getting from Porto to Tavira by combination of flight and train takes about 4.5 hours. Other options: drive; or take a train. Traveling from Porto in September, Tavira is a bit warmer at night with lows of 21°C. Finish up your sightseeing early on the 29th (Sat) so you can travel to Aljezur. Aljezur is a municipality in Portugal. On the 30th (Sun), tour the pleasant surroundings at Praia Vale Dos Homens, then kick back and relax at Praia Da Rocha, and then look for gifts at Bolodoce & Cafe. 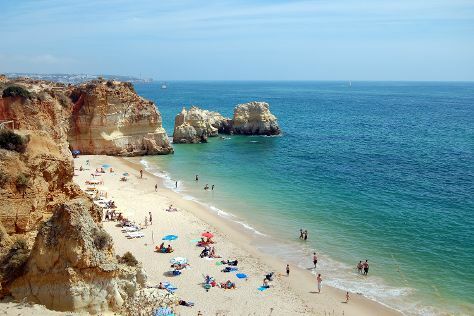 Get ready for a full day of sightseeing on the 1st (Mon): kick back and relax at Praia marinha, explore the gorgeous colors at Praia do Carvalho, and then kick back and relax at Algarve. For where to stay, traveler tips, other places to visit, and other tourist information, use the Aljezur day trip planning website . Getting from Tavira to Aljezur by car takes about 1.5 hours. Expect a daytime high around 30°C in September, and nighttime lows around 21°C. Finish your sightseeing early on the 1st (Mon) to allow enough time to travel to Lisbon. Popular historic sites such as Castelo de S. Jorge and Belém Tower are in your itinerary. Museum-lovers will appreciate Museu Calouste Gulbenkian and National Tile Museum. Venture out of the city with trips to Sintra (Quinta da Regaleira & Park and National Palace of Pena). And it doesn't end there: wander the streets of Chiado, contemplate in the serene atmosphere at Jeronimos Monastery, meet the residents at Lisbon Oceanarium, and hunt for treasures at Feira da Ladra. To find photos, ratings, reviews, and more tourist information, read our Lisbon attractions site . You can drive from Aljezur to Lisbon in 3 hours. October in Lisbon sees daily highs of 28°C and lows of 17°C at night. Finish your sightseeing early on the 5th (Fri) to allow enough time to travel back home.